You may receive updates from Blue Water Baltimore, the sponsor of this letter campaign. Last year we successfully eliminated EPS foam food packaging (aka Styrofoam) in Baltimore City, and now we need your help to eliminate it statewide! Unlike other forms of trash, EPS foam is impossible to fully clean up. It is a petroleum-based product that does not biodegrade. Instead, it crumbles and breaks down into smaller and smaller pieces each time it is touched or disturbed. When littered into the water it will absorb 10 times more pesticides, fertilizers and chemicals than other kinds of plastic, increasing toxin exposure to fish and other aquatic animals, and potentially making its way into the food chain. These tiny pieces make their way into our waterways, into our bodies, and stick around for generations to come. 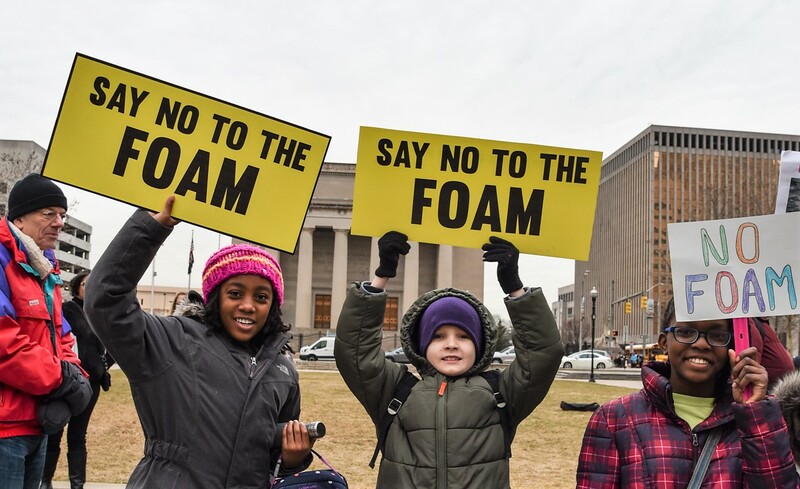 It’s time to get foam out of Maryland once and for all. Write to your representative today and ask that they get the foam out of Maryland!